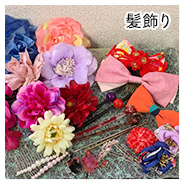 You can choose from 6 type. 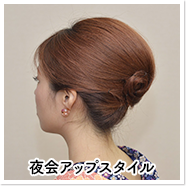 ※During the campaign period and those using coupons will be 1,500 yen of normal charge. 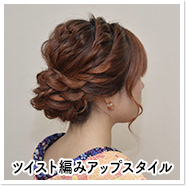 ※During the campaign period and those using coupons will be 2,500 yen of normal charge. 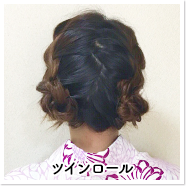 You can choose the hairstyle whatever you want!! 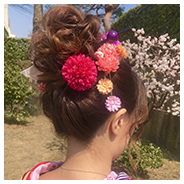 Please bring your favorite hairstyle pictures! 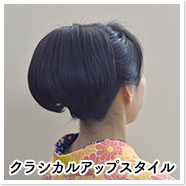 ※Your hair must be long over the shoulder under 20cm. 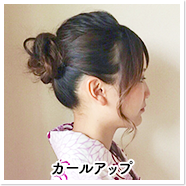 The style changes according to the length of hair and the amount of hair. 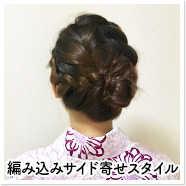 You will hair set while consulting with a stylist. 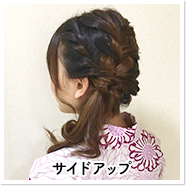 ※Booking a hair set and will be free. 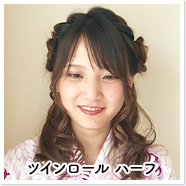 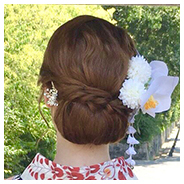 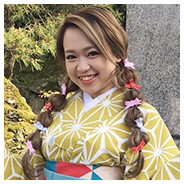 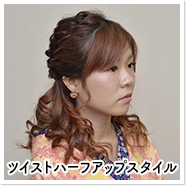 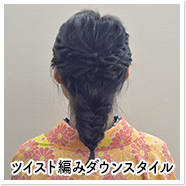 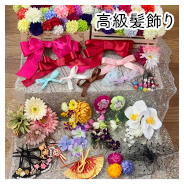 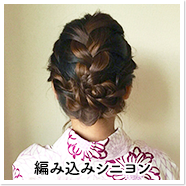 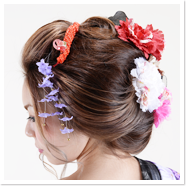 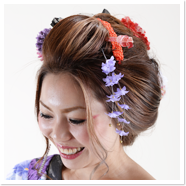 ※If you have chosen kimono premium plan or -YUYU- course, high class hair ornament is free. 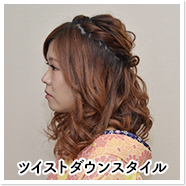 When you want to use an curling iron or straighting iron.